Stella Abrera of South Pasadena, California, began her studies with Philip and Charles Fuller and Cynthia Young at Le Studio in Pasadena. She continued her studies with Lorna Diamond and Patricia Hoffman at the West Coast Ballet Theatre in San Diego. She also spent three years studying the Royal Academy of Dancing method with Joan and Monica Halliday at the Halliday Dance Centre in Sydney, Australia. 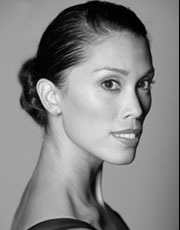 Abrera joined American Ballet Theatre as a member of the corps de ballet in 1996 and was appointed a Soloist in 2001. Her repertoire with ABT includes the Girl in Afternoon of a Faun, Calliope in Apollo, Gamzatti and a Shade in La Bayadère, the Ballerina in The Bright Stream, Cinderella in Cinderella, Aurora in Coppélia, Gulnare and an Odalisque in Le Corsaire, She Wore a Perfume in Dim Lustre, the woman in white in Diversion of Angels, Mercedes, the Driad Queen and a Flower Girl in Don Quixote, Helena in The Dream, the first passerby in Fancy Free, Myrta and the peasant pas de deux in Giselle, Manon in Lady of the Camellias, Lescaut's Mistress in Manon, His Friend's Wife in The Moor's Pavane, the Sugar Plum Fairy and the Snow Queen in Kevin McKenzie's The Nutcracker, one of The Nutcracker's Sisters in Alexei Ratmansky's The Nutcracker, Emilia in Othello, the Ballerina in Petrouchka, Henrietta in Raymonda, Lady Capulet and a Harlot in Romeo and Juliet, the Lilac Fairy, the Fairy of Valor and Princess Florine in The Sleeping Beauty, the pas de trois in Swan Lake, the violin in Symphonie Concertante, leading roles in Airs, Baker's Dozen, Ballet Imperial, Birthday Offering, The Brahms-Haydn Variations, C. to C. (Close to Chuck), Everything Doesn't Happen at Once, In the Upper Room, Jabula, The Leaves Are Fading, Meadow, Petite Mort, Sinfonietta, Les Sylphides, Symphonic Variations, Symphony #9, Symphony in C, Thirteen Diversions, Within You Without You: A Tribute to George Harrison, Without Words and workwithinwork, and featured roles in Black Tuesday and Gong. Abrera created the roles of His Memory and His Experiences in HereAfter, the Spanish Dance in Ratmansky's The Nutcracker, His Mistress in Weren't We Fools? and leading roles in Pièce d'Occasion with Herbie Hancock, Pretty Good Year and Seven Sonatas. Abrera received the Gold Medal at the Royal Academy of Dancing's Adeline Genée Awards in London in 1995. Maria Chapman is from St. Simons Island, Georgia. She was a student of Magdalena Maury and studied under Patricia Bromley at Terpsichore Co., Ltd. in Atlanta. She continued her training on full scholarship at the School of American Ballet and attended summer courses at Boston Ballet, Houston Ballet, Joffrey Ballet, Pacific Northwest Ballet School, and the School of American Ballet. 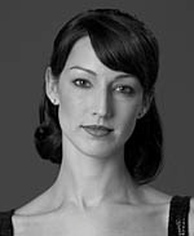 She joined Pacific Northwest Ballet as an apprentice in 1995 and was promoted to corps de ballet in 1996, soloist in 2005, and principal in 2009. Chapman danced in the BBC's 1999 film version of PNB's production of George Balanchine's A Midsummer Night's Dream, filmed at Sadler's Wells Theatre, London. She is also featured in the 1999 danceWORKS fitness video and began appearing in Bloch dancewear advertising in 2002. In addition to her performing career, Chapman is a founding member (1998 to present) of Second Stage for Dancers, PNB's career transition program. She is also currently the chairperson of the Second Stage Dancer Committee. Chapman has danced leading roles in George Balanchine's Agon, Concerto Barocco, Divertimento No. 15, Emeralds, The Four Temperaments, A Midsummer Night's Dream, Symphony in C, and Symphony in Three Movements; Peter Boal's Giselle (Myrtha); Todd Bolender's Souvenirs; Ulysses Dove's Dancing on the Front Porch of Heaven and Vespers; Nicolo Fonte's Within/Without; Nacho Duato’s Jardi Tancat; William Forsythe's Artifact II, In the middle, somewhat elevated, and One Flat Thing, reproduced; Twyla Tharp's Afternoon Ball, In the Upper Room, Nine Sinatra Songs, Opus 111, and Waterbaby Bagatelles; and Christopher Wheeldon's After the Rain pas de deux and Polyphonia, among others. Lia Cirio began her training at Swarthmore Ballet Theatre with Lori Ardis. She went on to train at the Central Pennsylvania Youth Ballet under the direction of Marcia Dale Wearyand Darla Hoover, where she studied privately with Theresa Crawford and Rafael Grigorian. At the age of 16, she was awarded a Level One award from the National Foundation for Advancement of the Arts and was a Presidential Scholar in the Arts finalist. She was also awarded the top scholarship and Founders’ Award presented by Barbara Weisberger at the Regional Dance America Festival. The same year, she was invited by Mikko Nissinen to join Boston Ballet II, and was Boston Ballet’s Princess Grace nominee for 2004. She was promoted to Boston Ballet's corps de ballet in 2004, to second soloist in 2006, and to soloist in 2007. From 2008-2009, Cirio toured with Trey McIntyre Project, performing throughout the United States and worldwide. She danced principal roles in McIntyre’s Reassuring Effects of Form, Poetry,and A Day in the Life, and originated roles in various new works by McIntyre. She returned to Boston Ballet for the 2009-2010 season and was named principal dancer in 2010. Hailed as “one of the most accomplished actress-dancers in the company” by The Patriot Ledger, and as “an outstanding performer with tremendous stage presence” during Boston’s tour to Spain, her repertory with Boston Ballet includes featured and/or principalroles in classics such as La Bayadere, Don Quixote, Etudes, Swan Lake, The Nutcracker, The Sleeping Beauty, La Sylphide, Giselle, Romeo and Juliet, Cinderella, Paquita, and Afternoon of the Faun, as well as corps roles in The Taming of the Shrew, The Lady of the Camellias, and La Fille Mal Gardee. She has danced featured and/or principal roles in Balanchine’s Coppelia, Symphony in Three Movements, Theme & Variations, Apollo, Divertimento #15, Who Cares?,Concerto Barocco, The Four Temperaments, Ballo de la Regina, La Valse, Serenade, and A Midsummer Night’s Dream, in Robbins’ Antique Epigraphs and in Martins' Barber Violin Concerto. She has performed contemporary works by Elo, Kylian, Forsythe, Pickett, Tharp, Wheeldon, Morris, Myers, Bruce, and Caniparoli. She originated roles in Elo’s Carmen (Micaela), Brake the Eyes, and Sharper Side of Dark. Cirio was named in Dance Magazine’s first “On the Rise” feature article, and has been featured in additional articles in Dance Magazine, Dance Spirit Magazine, and on the cover of Pointe. She is sister to fellow Principal, Jeffrey Cirio. 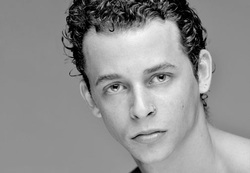 Born in Havana, Cuba, Taras Domitro trained at Alejo Carpentier School and National Ballet School of Cuba. He performed as a principal dancer with the Ballet Nacional de Cuba prior to joining San Francisco Ballet as a principal dancer in 2008. Since joining the SF Ballet, Domitro has performed lead roles in a variety of works, including Prince Siegfried in Tomasson’s Swan Lake, Albrecht in Tomasson’s Giselle, the Snow King and Prince in Tomasson’s Nutcracker, and Franz in Balanchine’s Coppélia. His repertory also includes Balanchine’s The Four Temperaments, “Emeralds”, “Rubies”, Symphony in C, and Theme and Variations; the title role in Fokine’s Petrouchka; McGregor’s Chroma; Ratmansky’s Russian Seasons; Robbins’ Opus 19/The Dreamer; Tomasson’s 7 for Eight, Prism, and On a Theme of Paganini; and Zanella’s Underskin. Domitro’s awards include a 2008 Gold Medal at the World International Ballet Competition in Orlando, Florida, the grand prix at Peru’s International Ballet Festival in 2003, and in 2000, the first prize and revelation award at the Concurso de Festival Internacional de Academias in Havana, Cuba. Joshua Grant is from Niceville, Florida. He trained at Northwest Florida Ballet, Harid Conservatory, and Pacific Northwest Ballet School, and he attended summer courses at Virginia School of the Arts, the Rock School, Harid Conservatory, and Pacific Northwest Ballet School. Mr. Grant joined Pacific Northwest Ballet as an apprentice in 2001 and was promoted to corps de ballet in 2002. 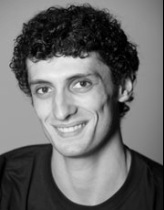 In 2004, he joined National Ballet of Canada, and in 2006, he joined Les Ballets Trockadero de Monte Carlo. He performed as a principal dancer with Trockadero until 2011, when he rejoined Pacific Northwest Ballet as a member of the corps de ballet. Mr. Grant has performed the Dying Swan as a guest artist on the Titus Command Gala in Dallas and for Pacific Northwest Ballet’s Laugh Out Loud! Festival. In 2008, he performed on the Royal Variety Show at London’s Palladium Theatre in the presence of HRH Prince Charles. At Les Ballets Trockadero de Monte Carlo, Mr. Grant performed leading roles in Chopiniana, Gaîté Parisienne, Giselle, Go for Barocco, Majisimas, Paquita, Pas de Quatre, Swan Lake, Trovatiara, Vivaldi Suite, and La Vivandiere. He also performed the solo Dying Swan. At National Ballet of Canada, he performed leading and featured roles in John Cranko’s Romeo and Juliet, Michel Fokine’s Petrushka, and James Kudelka’s Désir and Nutcracker. He also originated the role of the Horse in Kudelka’s An Italian Straw Hat. At Pacific Northwest Ballet, he performed leading and featured roles in Lew Christensen’s Il Distratto, Peter Martins’ Fearful Symmetries, Alexei Ratmansky’s Don Quixote, Kent Stowell’s Carmina Burana, and Lynne Taylor Corbett’s Ballad of You and Me. Carolyn Judson moved to Houston, Texas, from Sacramento, California, in 2001 to train at Houston Ballet’s Ben Stevenson Academy. She joined Texas Ballet Theater in 2003, where she has been featured in the title roles of Ben Stevenson’s Romeo and Juliet, Cinderella, The Sleeping Beauty and Cleopatra. She has also performed the principal roles of “Odette/Odile” in Swan Lake, "Kitri" in Don Quixote and "Svetlana" in Dracula, and has enjoyed performing "Waltz Girl" and "Terpsichore" in George Balanchine's Serenade and Apollo. Two of her favorite ballets to perform are Three Preludes and Image, both choreographed by Ben Stevenson. In August of 2012, Ms. Judson had the opportunity to work with Twyla Tharp and dance in her production of Come Fly Away on tour in Tokyo and Osaka, Japan. 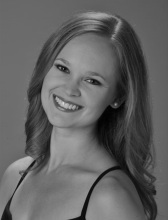 This is Carolyn's eleventh season with Texas Ballet Theater. Lasha’s repertoire includes Swan Lake, Don Quixote, Giselle, La fille mal gardee, Romeo and Juliet, in addition to George Balanchine’s Serenade, Apollo Musagete, Duo Concertant, and Mozartiana. Lasha was awarded the Gilbert Albert and Nina Ananiashvili International Prize ‘Star’ in 2008. Born in Moscow, Maria Kochetkova trained at the Bolshoi Ballet School for eight years before dancing with The Royal Ballet and English National Ballet in London. She joined the San Francisco Ballet as a principal dancer in 2007. Her classical repertoire includes the title role in Giselle, Aurora in The Sleeping Beauty, Kitri in Don Quixote, Juliet in Romeo & Juliet, Odette/Odile in Swan Lake, Clara and the Sugar Plum Fairy in The Nutcracker and the title role in Alice in Wonderland. She has also performed Swanilda, in George Balanchine’s Coppelia, Emeralds and Rubies in Jewels, and in Divertimento No. 15, Serenade, Theme and Variations, Symphony in C, William Forsythe’s In the middle, somewhat elevated, Artifact Suite, Kenneth MacMillan’s Winter Dreams, Frederick Ashton’s Symphonic Variations, Wayne McGregor’s Chroma (opening night for US premiere) and in ballets by David Dawson, Derek Deane, Jorma Elo, Mark Morris, Yuri Possokhov, Alexei Ratmansky, Jerome Robbins, Helgi Tomasson, Christopher Wheeldon and Hans Van Manen. 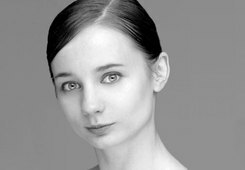 Kochetkova has created principal roles in Yuri Possokhov’s Diving into the Lilacs, the Raymonda pas de deux, Classical Symphony, Helgi Tomasson’s On a Theme of Paganini and Trio, and Christopher Wheeldon’s Within the Golden Hour and Number 9. Kochetkova performs as a guest artist with the Bolshoi and Stanislavsky Theaters in Moscow, the Mikhailovsky Theater in St. Petersburg, the Tokyo Ballet in Japan, including performances as Kitri in Don Quixote for the opening night of the 2009 NBS World Ballet Festival in Tokyo, and with the Bolshoi's Reflections project in 2011 at the Segerstrom Center for the Arts in Orange County and the Bolshoi Theatre in Moscow. Kochetkova performed the Grand Pas de Deux in San Francisco Ballet’s Nutcracker, which was broadcast by PBS in 2008. She also won the solo gold medal in the NBC series Superstars of Dance, which was watched by over 10 million viewers. Kochetkova’s prizes and awards include the Isadora Duncan Award for the role of Giselle and medals at the International Ballet Competitions in Seoul (Gold, 2005), Rome (Gold, 2005), Riety (Gold, 2005), Luxembourg (Gold, 2003), Varna (Silver and the Press Jury Prize, 2002), Moscow (Bronze, 2001). She was also a winner of the Prix de Lausanne in 2002. Originally from Fairfax, California, Lucas Priolo began dancing in order to stay fit for baseball. He discovered a love for dancing as he trained at Dance Theatre Seven in Fairfax. 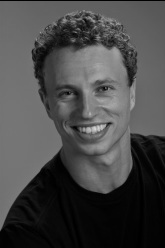 Before joining Texas Ballet Theater in 2004, Mr. Priolo was a Company member at Houston Ballet. Since becoming a member of Texas Ballet Theater, he has enjoyed dancing the principal roles in Ben Stevenson's Swan Lake, Romeo and Juliet, The Sleeping Beauty, Cinderella, Dracula, Don Quixote, Peer Gynt, Cleopatra, Three Preludes, Mozart Requiem and Four Last Songs. 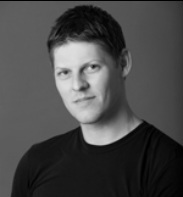 Lucas also performed principal roles in Sir Kenneth MacMillan's Manon and Gloria, William Forsythe's In the Middle, Somewhat Elevated, Christopher Bruce's Sergeant Early's Dream, Paul Taylor's Company B and In the Beginning, Natalie Weir's Steppenwolf, Balanchine's The Four Temperaments and Theme and Variations, Trey McIntyre's Second Before the Ground and The Shadow, Julia Adam’s Ketubah, Nacho Duato's Without Words and Glen Tetley's Voluntaries. Mr. Priolo is also a jewelry designer and craftsman for Priolo & Co. at Sofia Jewelry. Lucas is married to former Company member Julie Gumbinner. Born in Santa Cruz, California, Radetsky began his ballet studies in the San Francisco Bay Area with Damara Bennett and Ayako Takahashi. At the age of 15, he was invited to study in Moscow at the Bolshoi Academy under world-renowned men's teacher Pytor Pestov. After a year in Russia, he studied on scholarship at the Kirov Academy in Washington, D. C. under Rudolph Kharatian and Andrei Garbouz. He toured with the Kirov Ballet throughout the United States and internationally. He also studied on scholarship at the summer programs of the School of American Ballet, American Ballet Theatre's School of Classical Ballet with Mikhail Baryshnikov, the San Francisco Ballet School and the Bolshoi Ballet Academy in Vail, Colorado. Radetsky joined American Ballet Theatre as an apprentice in 1995, became a member of the corps de ballet in 1996 and a Soloist in 2003. His repertoire includes the Head Fakir in La Bayadère, Accordionist in The Bright Stream, the third movement in Bruch Violin Concerto No. 1, Her Prince Charming in Cinderella, Boogie Woogie Bugle Boy in Company B, Lankendem and Birbanto in Le Corsaire, Espada and the lead gypsy in Don Quixote, Demetrius in The Dream, the Pastor in Fall River Legend, the second and third sailor in Fancy Free, Hilarion and the peasant pas de deux in Giselle, the pas de deux in Jabula, Gaston in Lady of the Camellias, Lescaut and the Jailer in Manon, Camille in The Merry Widow, The Moor in The Moor's Pavane, the Cavalier and the Nutcracker-Prince and in Kevin McKenzie's The Nutcracker, Iago in Othello, Petrouchka in Petrouchka, the Warrior Chieftain in the Polovtsian Dances from Prince Igor, Rabbit in Rabbit and Rogue, Bernard in Raymonda, the Champion Roper in Rodeo, Paris, Tybalt and Benvolio in Romeo and Juliet, the Bluebird in The Sleeping Beauty, Benno and von Rothbart (Act III) in Swan Lake, Orion in Sylvia, the fourth movement in Symphony in C, Hortensio in The Taming of the Shrew, Thaïs Pas de Deux, the "Guitar" pas de deux from Within You Without You: A Tribute to George Harrison and leading roles in The Brahms-Haydn Variations, C. to C. (Close to Chuck), Études, Gong, In the Upper Room, The Leaves Are Fading, Symphony #9 and many others. He created leading roles in From Here On Out, Glow-Stop, Gong, Troika and Thirteen Diversions. Radetsky has danced the works of acclaimed choreographers such as George Balanchine, Mark Morris, Paul Taylor, Lar Lubovitch, Sir Kenneth MacMillan, Twyla Tharp, Antony Tudor, John Cranko, Agnes de Mille, Jorma Elo, Jerome Robbins, Ann Reinking, Christopher Wheeldon and Jiri Kylian. He is an original member of the troupe "Stiefel and Stars" and has been a frequent guest performer and teacher with ballet companies across the United States and abroad. In 2000, Radetsky starred as Charlie in the movie Center Stage as well as in pop singer Mandy Moore's music video "I Wanna Be With You" from the Center Stage soundtrack. He has appeared in numerous television and print commercials as well as starring roles in the PBS movie Home at Last and in the NBC television series Midnight Caller. He has written for Newsweek, Dance Magazine, Dance Spirit and World Arts Today.com. He is married to ABT Soloist Stella Abrera. In September 2008, Radetsky joined Dutch National Ballet as a principal dancer, where his repertoire included Masetto in Don Giovanni, Basilio in Don Quixote, Sanguinic in The Four Temperaments, Albrecht in Giselle and The Son in Prodigal Son.